"I grew up in Brazil in a big city called Belo Horizonte. 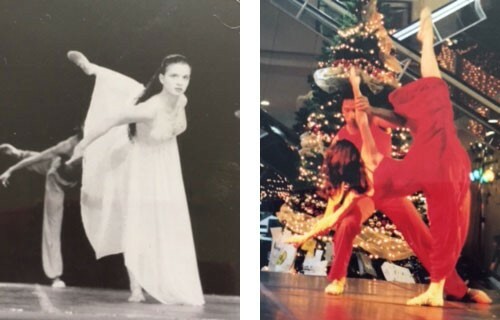 I always loved dancing and my first memories of falling in love with ballet were a ballerina doll, a pas de deux in a music box and the Tin soldier story from Hans Christian Andersen. 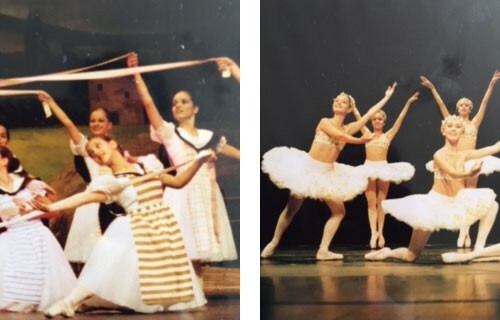 I couldn't forget the first ballet I saw on stage “Don Quixote”, still one of my favourites. 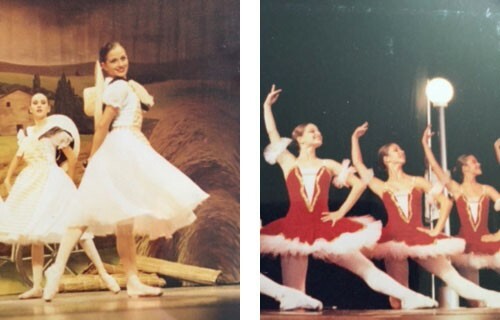 I remember as a child how much I loved being on stage performing. Once I even performed with my broken arm in plaster as I could not allow myself not to be part of the show! Dance was a magical world for me and I was always dancing around the house with my friends and participating in dance events and school plays. The dance school where I studied for many years was like a second home for me and I learned much more than just dance. Every day I learned about discipline, good manners, determination, respecting others, the value of hard work and how to express myself. 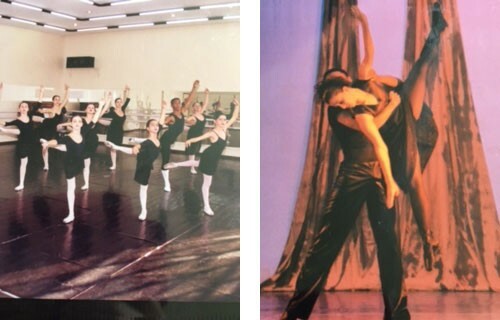 I will also never forget the wonderful hours spent with my dance friends rehearsing, mastering challenging steps, spending time backstage and performing in different venues. I have a big passion for theatre productions and for my dance school shows I work with a different theme every year. I like our students to look beautiful on stage and feel like real princes and princesses! I also want to make sure the show length, time and contents are appropriate and enjoyable for all students and their families. There is nothing like being on stage: The music, lights, scenery, audience, choreographies, costumes and make up. Once you are there, you forget about everything else.You just want to enjoy that special and unique moment, giving your very best , dancing and responding to the music with your body and soul. Below are some photos of my performances in Brazil." - Elen Cristina Brandão van Weegen.